We take a number of measures, like fixing the leaky windows, drafty doors, etc. to keep the energy costs down. However, apart from the air, these measures also lock in the irritants and pollutants in your home. A perfect solution to purify the air of your home is to use an air purifier. These machines are known to do a great job of eliminating the pollutants, dusts, allergens, etc. from your home and dispose them outdoors. However, if you are serious about buying an air purifier you need to prepare yourself to face hundreds of options where every model will appear better than the other. To make a smart buying decision, it is important to first understand the different factors that you should consider while buying an air purifier, your requirements, the features that you want in your unit, etc. But to protect you from browsing multiple websites in search of the answers about air purifiers, we’ve created this informative best air purifier buying guide to help you out. Go through this entire post and by the end of it you might be able to know what you actually need. 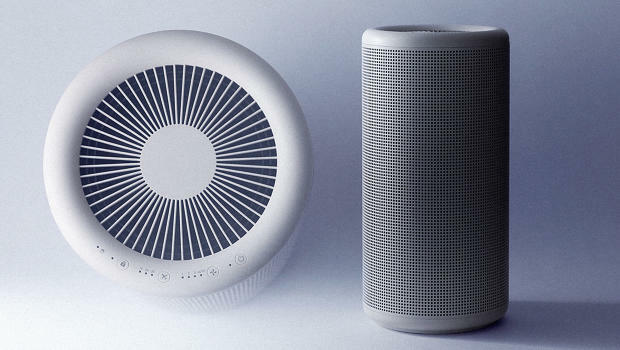 First let us talk about the most important consideration, what kind of air purifier do you need? Do you need to use it in a single room? Or you want the air purifier to cover your entire home? Continue reading to know the different types available for you. 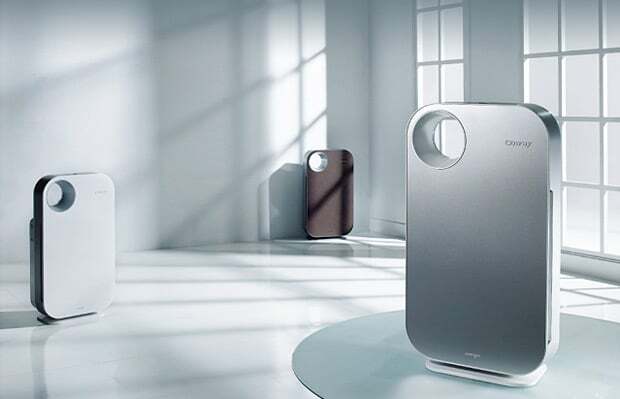 So, the air purifiers are basically divided in two different types- Portable or Small Room Air Purifiers and Whole-House Purifiers. Portable units are a lot more popular than the whole-house units. If you need to cover a small room where there is no heating or cooling system, a small, portable room air purifier can be great for you. Apart from their portability, most of them have HEPA (High-Efficiency Particulate Air) filters that have the ability to capture smallest of particles. While most of such units require you to replace the HEPA filter periodically and thus, adding to the maintenance cost of the machine, there are some models that come with cleanable filter. However, amongst room models, there are some models that make use of ionizer technology or electrostatic precipitator and can produce ozone, which is a lung irritant. Thus, make sure that you don’t buy an air purifier that uses these technologies. If you already have a cooling or heating system at your home, rather than investing in an air purifier, you can go for these inexpensive air filters which you can place in your heating or cooling system and it will work just like an air purifier. They are pretty simple to use. All you need to do is to remove the old air filter and replace it with the new one. While the traditional models are made from fibreglass, many of the modern filters are charged electrically or pleated to capture the particles. The only downside is that if you are going for a thicker air filter, you might be required to modify the ductwork of your home from a professional and this will mean additional investments. Moreover, these filters need to be replaced in ever 2-3 months. The type of air filter used in an air filter plays an important role on the type of pollutant the machine is able to eliminate and the same will be discussed in this section of the best air purifier buying guide. This is the most popular type of air filter and is known to eliminate 99.97% of the pollutants that are as small as 0.3 microns. These filters were first developed to capture the radioactive particles of dust by Atomic Energy Commission in US. Most of the allergens, like animal dander, pollen, mold spores, dust, etc. get trapped in them. The only advantage of these filters is that you need to replace them periodically. These filters are generally used along with other types of filters. They are well-known for their ability to neutralize chemicals, smoke, fumes and adsorb gases and odours. The larger the size of these filters, the better will be their ability to capture particles. But when they are full, they need to be replaced with a new one. This type of filter is a combination of a small amount of electrostatic charge and particle filter. They work similar to the way in which electrostatic force causes your socks to stick to each other when they come out from a dryer. The main advantage of these filters is their ability to capture particles as small as 0.1 microns, but they lose their charge very quickly and can require very frequent replacement. These filters generate charged ions and emits them in the surrounding areas to combine with the impurities in the air and make them stick to the nearby surface. However, remember that they do not eliminate the particles but only makes them stick to the nearby surface and can thus result in dirty spots. They work on a similar principle on which the filters that are charged by media work. But rather than capturing the particles on the filter, they precipitate out and cling to the collector plates. The best thing about them is the fact that you never have to replace the collector plates as they can be washed in a dishwasher. They are used to eliminate germs and bacteria. They make use of many different technologies to deliver these results. This type of filter that has UV lamp in them is very commonly used in sterile environments, like daycares, hospitals, kitchens, labs, etc. If you or someone in your home gets sick very often, these filters can be an excellent choice. They are generally used to eliminate pet hair as well as other larger particles before the actual filtration process and generally come with all the different types of filters. Most of them are foam-based, while some others are made from non-woven polyester. Moreover, some of them also have electrostatic properties to further enhance their efficiency. This is one of the most advanced filtration technology. These filters have two components- UV light which does the job of oxidizing chemicals and metal plate which is coated with titanium dioxide for attracting particles. As this technology is pretty new, only few manufacturers use them. 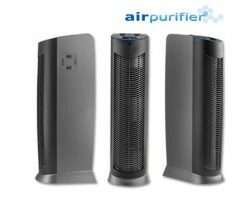 The next part of this best air purifier guide is the factors that you should consider while buying an air purifier. Make sure that you keep them in mind while purchasing one. Ensure that the model you choose has a coverage area mentioned which is equal or slightly greater than the actual square footage area of the place where you want to use the air purifier. The coverage area is calculated on the basis of an 8 feet ceiling CFM and a particular amount of air exchanges in an hour. If you are planning to buy an air purifier with HEPA filter, make sure that you also check the cost of the replacement filter. Also remember that if the model you choose uses a combination of filters, you will be required to replace them separately after separate durations. Also called as ACH rating, it is a number which indicates how frequently the machine will be able to exchange the entire air from a room. For instance, if the ACH is 4 for a 25 feet x 25 feet area, it means that the machine can exchange all the air in its coverage area 4 times in an hour. If you suffer from asthma or allergies, get an air purifier with an ACH of atleast 4 or more. Air purifiers are available across a wide price range. You can get a smaller unit or a larger one with advanced filters and features. But remember that apart from the initial investment, you also need to calculate the maintenance cost, like that of replacing the filter. As far as the power consumption is concerned, most of them consume a small amount of energy and some of them are also Energy Star rated. Different types and models of air purifiers consume different amounts of energy. Moreover, they need to run for 24 hours a day and thus, the amount of energy they consume also plays an important role in the buying decision. Generally, on the lower end they consume a minimum of 50 watts and on the higher end, they consume a maximum of 300 watts. 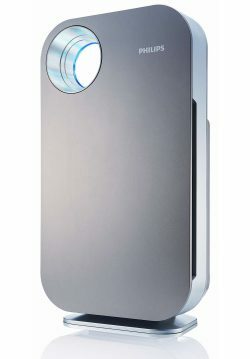 While the CADR testing is flawed, it does give excellent comparison information about different air purifiers. Moreover, not all the manufacturers send their products for this test. When used at maximum power, majority of the air purifiers are pretty noisy. However, there are some models that do not produce a lot of noise. Do not keep the speed of fan at minimum as it will reduce the air purifier’s efficiency, try to find a balance between the noise and fan speed. Make sure that you test the machine at maximum power before purchasing. There are some air purifiers that produce ozone, which is a lung irritant and is very harmful for people suffering from asthma as well as elderly and children’s. So, avoid such air purifiers. If possible try to buy one that is certified by CARB (California Air Resource Board). These are the features that can make it easier for you to use the air purifier or simply marketing gimmicks to make you pay more for the machine. While some of these additional features, like light to notify filter change, handles, casters, etc. are pretty helpful, many of them are not really useful. It is also important to consider the reputation of the manufacturer as well as the experience of the past customers. There are some great brands that have been around for decades while there are others who are new. Try to go for the older, more experienced manufacturer. Air purifiers generally come with a 5 year warranty. However, there are some that come with lifetime warranty and some cheaper models that come with 1 to 3 years warranty. Also make sure that you check the things that are covered in the warranty. There are some manufacturers who consider that the warranty is voided due to some customer actions and there are some others who require you to replace the filter within a fixed duration or else the warranty will be voided. While we tried to cover every single aspect of an air purifier in this best air purifier buying guide, we do understand that it is not a simple process. So, in case you still have any queries you can contact us and we will try to resolve your query as soon as possible.